The Rainbow FM 90.7 broadcasts information, inspiration, education and entertainment for the Christian community of Roodepoort and adjacent areas. 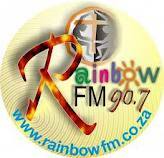 Item Reviewed: Rainbow FM 9 out of 10 based on 10 ratings. 9 user reviews.